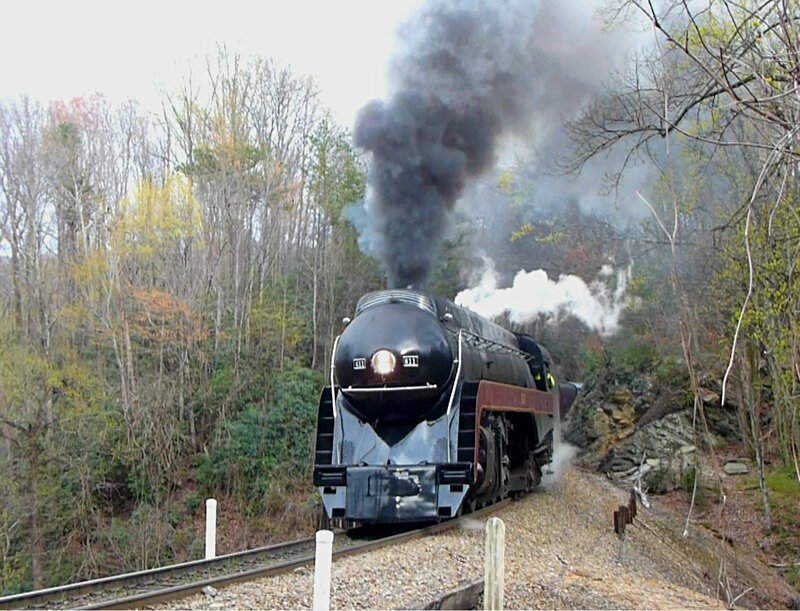 We were very fortunate to see the Norfolk & Western 611 steam locomotive pulling 21 cars as it passed by the Inn on Mill Creek B&B (twice) on April 10, 2016, taking passengers on a special one-day excursion from Spencer, NC, to Asheville and back again. This entry was posted in Old Fort Festivals and Events and tagged 611, Old Fort, Old Fort Loops, trains by Inn on Mill Creek. Bookmark the permalink.